The secret to the perfect pizza is in the oven’s design; a true pizza oven can reach temperatures of over 400 degrees Celsius – much more than a conventional oven’s 260 degrees! The intense heat is concentrated onto the base – crisping a pizza base perfectly while the ambient temperature cooks the toppings. This use of heat means that pizzas can be cooked through in as little as 3 minutes, not 15-20 minutes like a conventional oven. Wood fire smoke brings a new level of culinary flavours to cooking. Extremely popular for pizza cooking, wood fired cooking is especially well matched with heirloom vegetables, red meats, bread and even seafood. It’s no secret that home cooking is often healthier than their fast food counterparts. Not only do the wood fired ovens need no extra oils and fats, access to quality, whole ingredients makes a world of difference to the end flavour of your meal – and with the convenience of a fast oven on your doorstep, exploring new and healthier recipes is even easier. You’re never too young or too old to enjoy cooking. Kids love to be involved getting creative in the kitchen, so being able to involve them in a fun, yet safe, activity is the perfect way to introduce them to healthy cooking. As for adults, a wood fire oven offers a host of flexibility for recipes and slashes cooking times – so there’s no huge outlay of effort to try something new on the menu. Pizza ovens are not just convenient; they’re statement pieces that enhance the entertainment area – the hearth to gather your friends and family around at the end of a long day. While there are a multitude of quirky ovens on the market, our designs combine the tried and tested traditional oven design with clean, modern lines so customers can make them as bold or subtle as they want. 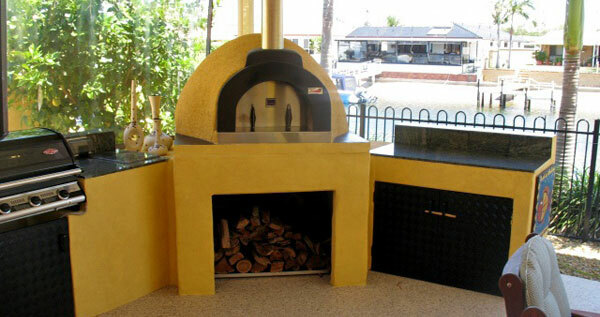 If you want more information, why not speak to the experts on wood fire pizza ovens in Sydney and give us a call today!